The smartphone note 9 comes with an Os Android Oreo 8.1.The Samsung Galaxy Note 9 dual SIM variant will be launched in India. 6.4-inch Quad HD+ (1440x2960 pixels) Super AMOLED Infinity Display panel, And it is the biggest display yet in the Galaxy Note series. the India variant of the handset packs the Exynos 9810 SoC, coupled with 6GB and 8GB RAM options. In terms of storage, the Galaxy Note 9 has 128GB and 512GB of onboard storage options that both are expandable via microSD card (up to 512GB). And for photography section its comes with dual rear camera which is placed horizontally, For connectivity This Smartphone comes with 4G VoLTE (LTE Cat. 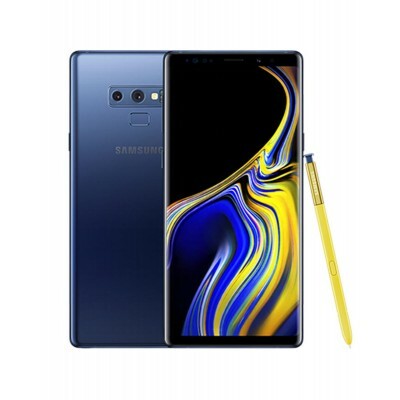 18),GPS/ A-GPS, NFC, ANT+, dual-band (2.4GHz and 5GHz) Wi-Fi 802.11ac, Bluetooth v5.0, GPS/ A-GPS, NFC, ANT+, USB Type-C, and a 3.5mm headphone jack Also.The Galaxy note 9 have bunch of Sensors on board Like which includes accelerometer, RGB light sensor, barometer, gyroscope, geomagnetic sensor,proximity sensor, Iris sensor, hall sensor, heart rate sensor, and a pressure sensor. There is also a fingerprint sensor which is below the rear camera setup. And the smartphone is also powerd with a 4000 mAh Battery.